There is something about Christmas lights that is like no other lights throughout the year. Just think of the houses that do not have their Christmas lights removed. You can see them gleaming in March, but it is different. The lights of Christmas, whether white or red or multicolored touch something in us. Usually it is at the beginning of the season. We see a tree decorated, and admire it, but when the lights come on, there is a gasp coming from the entire group watching. Wondrous! Then we get used to it and by December 27 the Wow factor subsides. Christmas lights should remind us of the bright bevy of angels the shepherds saw. Or perhaps the star that for 2+ years the Magi followed. At present I am living in our infirmary recuperating from surgery. Across the hall from my room Sr. Kathleen enjoys the longtime friendship of a very creative person. Her wall has butterflies, ivy and at this season of the year Christmas Lights. 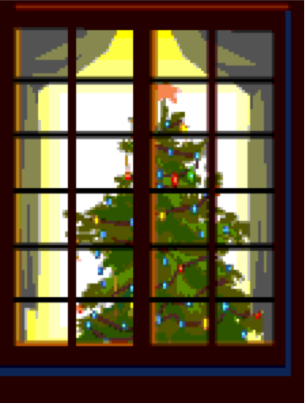 The lights form a tree of sorts and a frame for the large clock. Those lights are turned on from the time Kathy wakes until she falls asleep. Wonderful! Lying in my bed at night, I see the reflection of those lights in my window. A poinsettia plant from the Adopt-a-Sis girls I meet and a small tree on my window sill seem to come more alive in the reflection. I got to thinking. A gift to someone else has also become a gift to me. Jesus said, “You are the light of the world.” That being so, maybe I need to see how the light given me by Jesus, can reflect in the lives of others. Merry Christmas and may the light you are shine brightly all year long. The Advent wreath, which graces my kitchen table this month, reminds me with the warmth of glowing purple candles of Christmas approaching. 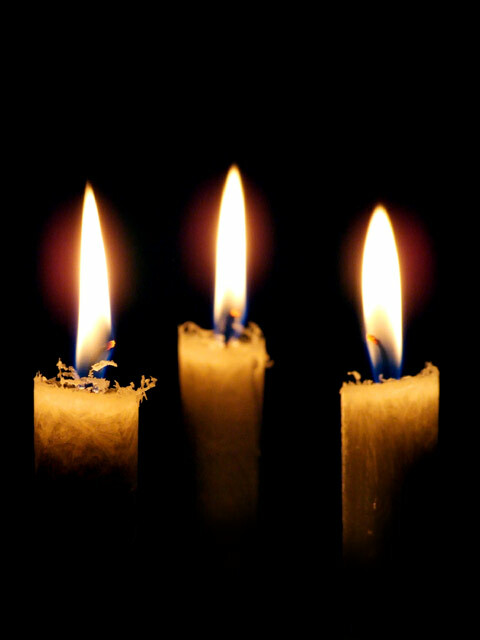 Nightly as I say a grateful prayer of blessing upon the meal before me, the increase in candlelight with every new Sunday magnifies the growing message that Jesus is coming. This late autumn I have been blessed to have friends welcoming in new little babies into the world. The arrival of these new babies, the growing excitement to meet them, to hold their tender selves in the new World outside the protective one they have known for the last 9 months, is thrilling. Something in my spirit catches at the sheer joy of it all. How easy it is for me to conjure the image of Mary awaiting the birth of her child –especially in the last weeks before delivery. How easy it is for me to grasp the joy of others who anticipated His birth. As exciting as it is to welcome any new child into the world, to appreciate the wonder of tiny fingers and wrists, to share in the joy of a family that adds another little one. Here is where I marvel most: Mary’s little baby who will be called Jesus, who will be surrounded by his mother’s arms and held so closely to her that His tiny ears hear her heartbeat, this little one will be the Savior of us all. 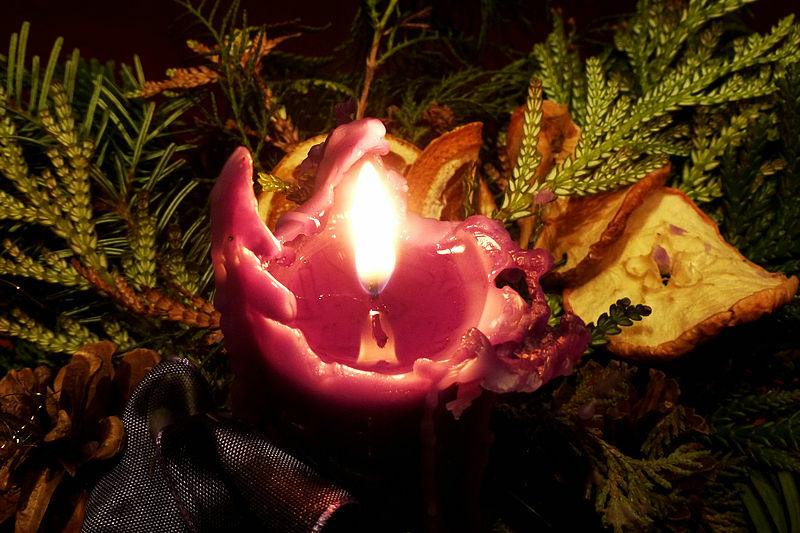 Yes, the Savior to someone like me, the very woman who this month enjoys her nighttime meal with flickering purple candles and anticipates His arrival in participating in an advent remembrance tradition some two thousand years later. What a wonderful way to acknowledge that Jesus is coming to the world for everyone. As we approach the celebration of Jesus coming into the world, the readings are filled with the urgent theme of the reality of what happened over 2000 years ago. God came into our world in the human form of a small baby. He came to live in our reality and grow up in it. In all three readings we hear the words “God is with us.” God is still in our world in each one of us. How does my life show God to the world around me? How is God present to me? How can I better reflect God to those around me, and to those with whom I live or those with whom I work? How can I reflect the Compassionate Love that God sent into this world in the form of the small infant Jesus? Emmanuel, please guide us to imitate your Son’s love in all that we do each day. Amen. 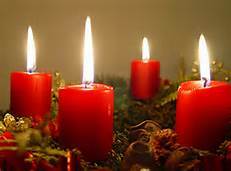 Advent–the season in which we anticipate the coming of God as one of us–Jesus the Christ. All three Scripture readings for today enunciate clearly our need to be paying attention. Isaiah claims our eyes will be opened. James calls us to patience with ourselves as we pay attention. And Matthew has Jesus asking the question: “What do you go out to see?” I believe the first person I need to see is myself as I go forth. Do others find in me the God who loves them, accepts them, listens to them? Who is the God in me who waits for me to be for others the Jesus who we wait for this Advent season? Holy Spirit, enlighten the darkness of my soul so that I may get new insights into who I am for myself and others. Teach me to be open to God’s call in me, and to go forth each day as Jesus did. Help me listen to your message that day, and accept others as you do with love and compassion. Amen. The holiday season is a time when most of us think of significant people in our lives. Some are deceased, some have played a part at a particular time in our lives, some have always been a part and continue to bless us in the present. The Advent season features accounts of the lives of people who played a role in the time leading up to the birth of Jesus: Anna & Joachim, Elizabeth and Zachary, Mary and Joseph. 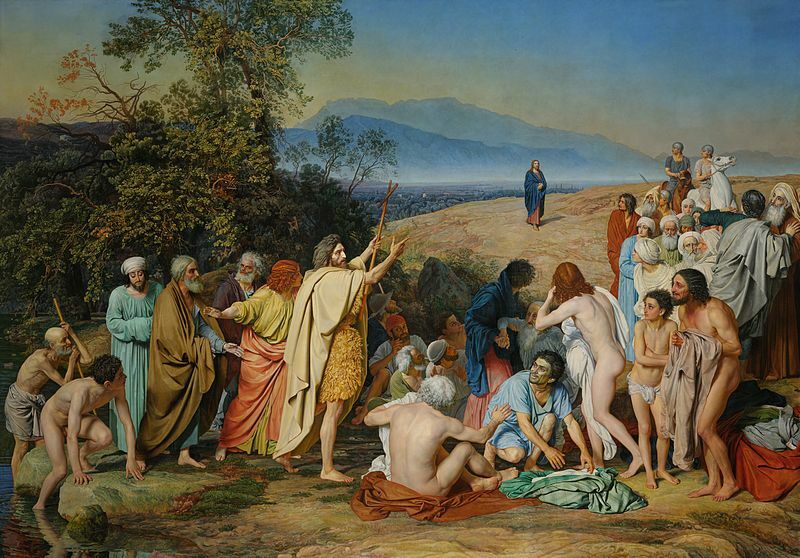 Perhaps the most controversial is John the Baptist. John lived in the desert, had no paying occupation, ate odd things, and preached to anyone who would stop to listen. His message was hard and grim, brooding and dark. His preaching could be described as a warning: repent or be lost. But this was John’s purpose in life, the reason he was born. His job was to close the Old Testament. Jesus recognized this when he told the people that up to John’s time, the law and the prophets were what mattered. With the coming of Jesus, that chapter is over and the Kingdom of God begins. We are invited into that Kingdom as builders, not as passive bystanders. Who has helped you become a Kingdom of God Builder? Those people who taught and encouraged you are your Advent People. This week, remember to pray in gratitude for them. Paul promises that the desert will bloom again, so Loving God, rest upon us so that the depth of life, a life of goodness and integrity, of wisdom and sound judgment, will blossom and be our new transformation. May you guide us in our attempt to bring peace and harmony to our world. Amen.